Frettens Solicitors is a mid-sized law firm that stands out from the crowd with their refreshing approach to everything legal. Founded in the late 1970’s, the firm offers a full range of services for both private and commercial clients. Now with over sixty staff, the firm’s main office is in the heart of Christchurch, Dorset. They pride themselves on being different from the traditional law firms by being approachable, offering great service, well rounded advice at affordable prices. With their fresh thinking they want to ensure they put the customer at the heart of everything they do. Although a very well established firm with a strong reputation within the area, they recognised that by improving the client journey would have a direct impact on their customer experience, becoming their differentiator. It would also further assist in the increase of enquiry conversions. What was critical to the success of the project was that all the teams of the firm were on board and understand the value and benefits to the business. We kicked off with a number of employee workshops, which were opened by the Managing Partner to understand the customer touch points and challenges faced by the teams and sharing with them the benefits of great customer experience. Following the initial workshops, we worked with Frettens to review the business process challenges and offering solutions that would alleviate some of the barriers to change. We then delivered the results back to the teams. This helped us to develop the “Frettens Promises” which are core client values which everyone has agreed are central to offering a great customer experience. After completing the workshops, we coached the teams on developing a refined client enquiry process that engages prospective clients and makes people want to do business with them. In addition, we developed and delivered bespoke sales training to the relevant personnel who deal with calls. To monitor and measure the success of the project we completed quarterly mystery shop calls to the individuals followed by 1-2-1 coaching sessions over the year. This is something that Frettens have found hugely beneficial and this programme will continue throughout next year. The end result is a core focus on the client experience throughout the firm, offering a seamless client experience through the “Frettens Promise”, strengthened client engagement and increased conversion rates by around 15-20%. "Kristy’s professional, personable and expert approach to the often gritty areas of customer experience and focus have been invaluable in adding real value to our client teams at Frettens Solicitors. To the wider teams, she encouraged all staff to recognise the crucial importance of customer service throughout all of our dealings with clients in what has become a competitive industry. Her work with the “front line” staff dealing with enquiries and quotes has been much more involved and thorough, from assisting them to develop and perfect our processes, to coaching those individuals in a way which helps them to develop their skills and hold much more engaging, informative but relaxed and memorable conversations with people that we hope will become our clients. This has delivered in the form of conversions and new business, as well as further enhancing our reputation as an approachable and helpful firm to deal with. 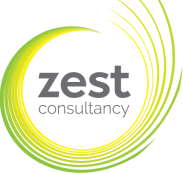 We have really enjoyed working with Zest and expect to do so again in the future."